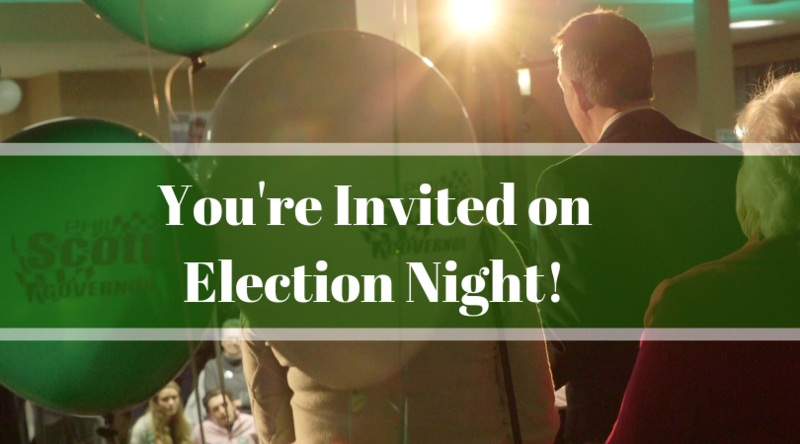 Join Governor Scott on Election Night! 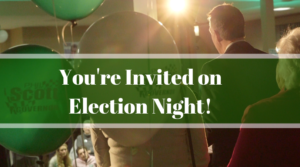 You’re invited to join Governor Phil Scott, our next Lt. Governor Don Turner, legislators, candidates and many more as we watch the results come in on Tuesday. Appetizers and a cash bar will be provided.Please join us and bring along friends and family! When: Election Day, Tuesday, November 6. Doors open at 6:30 p.m.